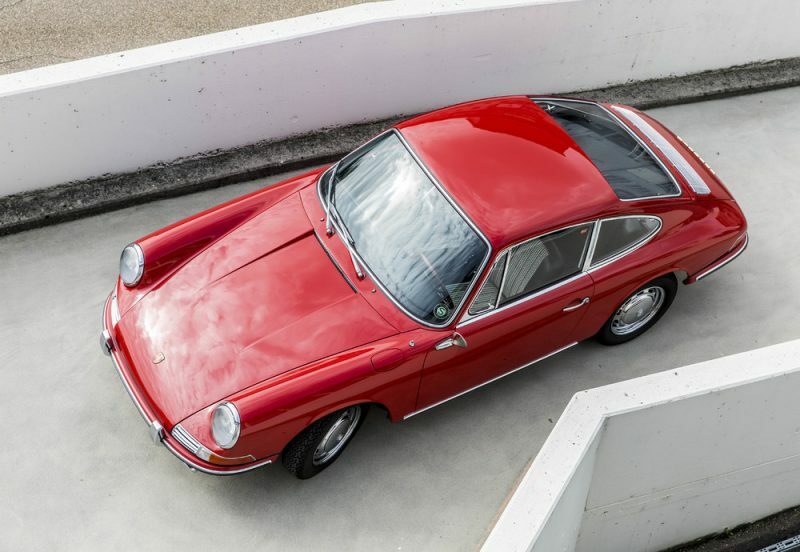 Before a trademark dispute with Peugeot created one of motoring's most iconic badges, Porsche produced 82 901s. These cars were primarily treated as pre-production cars, and were reportedly not officially sold. Despite this, several have found their way into private hands. 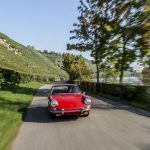 Alois Ruf owns number #037, and Ruf restored #018 for a private customer. 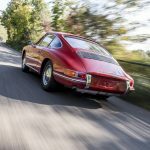 For the last five decades, the Porsche Museum has not had a 901 of their own. In 2014, a German television crew uncovered #057 while working on an antiques program. 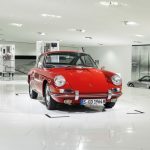 The Porsche museum purchased the car, which is now the oldest 911 in their collection. 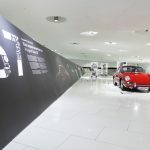 Following a challenging 3-year restoration the car goes on display tomorrow, December 14th, as a special exhibition in the Porsche museum. 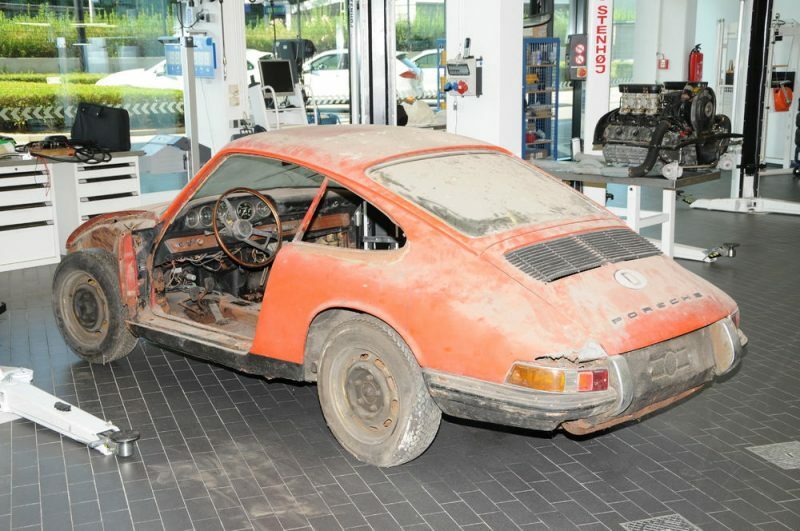 While the 901 appears all but identical to an early 911 at first glance, there are numerous small differences. The rear decklid latch panel is constructed differently to the later cars. The horn grilles were made by hand, and the screw holes are not visible from the outside. 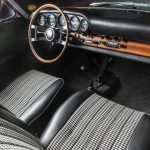 The seat pattern and shape is slightly closer to the 356C than to other 911s, and the A-pillars are upholstered. Some sources also note differences in the dash between the 901 and 911, though this may vary slightly from car to car. All of these details made restoring #057 all the more challenging. 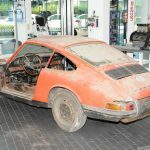 When the car arrived at Porsche, unrestored and incomplete, panels needed to be crafted, and authenticity ensured. 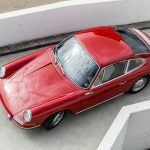 It took Porsche three years to restore #057, and required donor panels from another early 911 or 901 to be made whole (Porsche does not specifiy which beyond "another vehicle"). 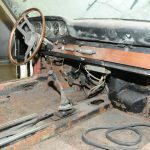 The engine, suspension and interior were all restored using the same approach- restore rather than replace. What exists now is a highly authentic pre-911. 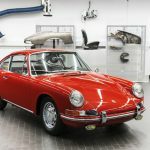 When Porsche first showed the 901 prototype in 1963, that car had a non-running engine and 356 suspension. This is the real deal. A full blooded 901, running, driving, and on display to the public. 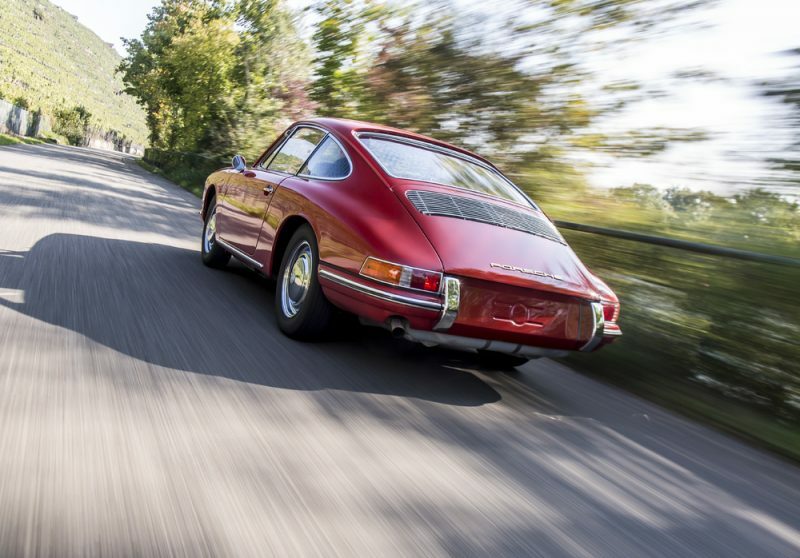 It distills the elements of what makes air-cooled 911s exciting and alluring more than 50 years on. Happy Holidays to all at FlatSixes ! !